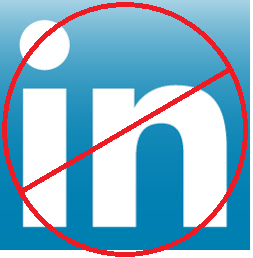 The other day I requested a resume from a specialist whereby he/she referred me to their Linkedin page. I was disappointed in the fact that we have allowed social media to make us lazy and de-personalize ourselves from personal interaction. Has social media been the microwave equivalent to a good ole home cooked meal? Yes! I can ONLY speak for myself when I say that I keep 2 files in my computer. I have an “Active” folder with companies and specialists that I actively use in my network and another “Verify” folder. In the “Active” folder I have each company and specialist’s resume/bio, scanned certs and licences, service snapshots, insurance certificates [where applicable] and photographs. There is a reason why I keep my file this way and it has worked for me. Never do I or would I have a URL in the place for anyone’s resume or any company’s bio. For those of you that have sent me your resume or bio you can look at the list above and determine where you are in my process of vetting. If you list something on your resume, I am going to request a copy of proof to include a DD-214 in some cases. I am NOT going to make the hi-lite film on a Don Shipley YouTube video as a employer or contractor of some Stolen Valor character. Personally I look and view my Linkedin page as a store front advertisement to get a potential customer to come in where I can personalize their experience. If a potential client called me and stated that they were referred to me by a colleague [who is a current client of mine] and then asked me to explain what services I provided. It would be LAZY and unprofessional for me to send them to my company website or Linkedin page. It sounds crazy but that is what so many specialists feel is the proper order of business. So here is what you need to do starting YESTERDAY. Keep a current copy of your resume/bio, company service snapshots, scanned certifications, licenses and photo on your computer, DocToGo, Dropbox or other comparable cloud. By doing this you can access and send immediately upon request. Stop letting social media replace good ole personalization. On a seperate note, LinkedIn has become the ultimate breeding for industry trolls. The amount of spam that gets posted the various groups has gotten out of hand. While I feel it’s important to maintain a LinkedIn profile, my participation in group discussions has ceased until the vetting process improves.